Sales in the company's Imaging Products & Solutions unit dropped 16.7% on-year to $2.3 billion because smartphones are causing less interest in compact digital cameras. Similarly, despite pulling in over $3 billion, sales in Sony's Home Entertainment unit fell 25% year-over-year, including a 31.5% drop in TV sales. However, the division's operating loss was better than last year thanks to reduced LCD-related expenses. The company's game-oriented sales also fell by 15.8% to just shy of $1.9 billion, and this is blamed on weakening sales of PS3 and PSP hardware and software. Sony moved a combined 3.5 million PS2s and PS3s, down from 4.9 million in the same period last year, while PSP and Vita sales totaled 1.6 million. The company has also lowered its forecasted handled sales for the end of the year from 16 million to 10 million. 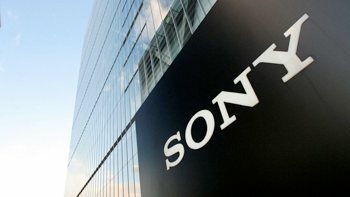 Sony's Devices segment, which includes semiconductors and components, reported a 16.6% dip in sales to $3.2 billion, while the company's Pictures and Music units both reported a decline in revenue as well. Amid such gloomy figures, there is at least one bright spot. Sony's Mobile Products & Communications outfit boasted a 112.1% increase in sales to $3.8 billion. Likewise, its Financial Services revenue jumped 25.7%. After four consecutive annual losses, Sony expects to be back in the black for fiscal 2013. Although it recently lowered its earnings estimate from about $374 million to $250 million or so, the company hasn't budged further on that number. However, it has slightly lowered its sales outlook from roughly $84 billion to $82 billion. This turnaround comes at the cost of 10,000 jobs worldwide along with the sale of various assets.